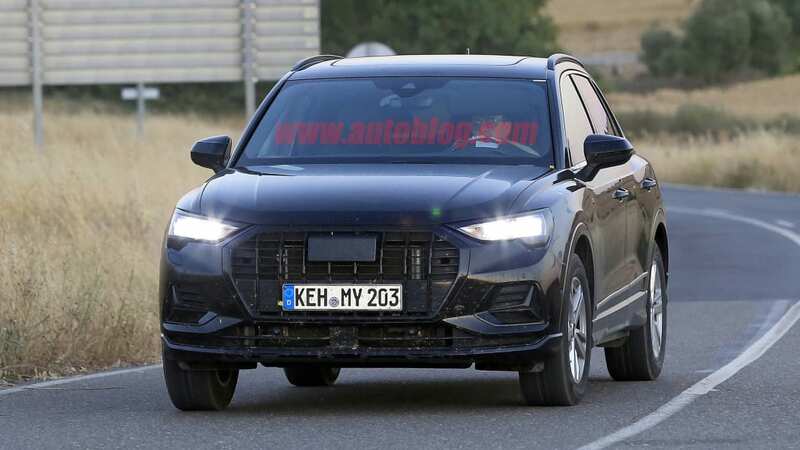 The Audi Q3 is very much due for a total redesign, and it looks like Audi has one ready to go. New spy shots reveal the car with no camouflage. 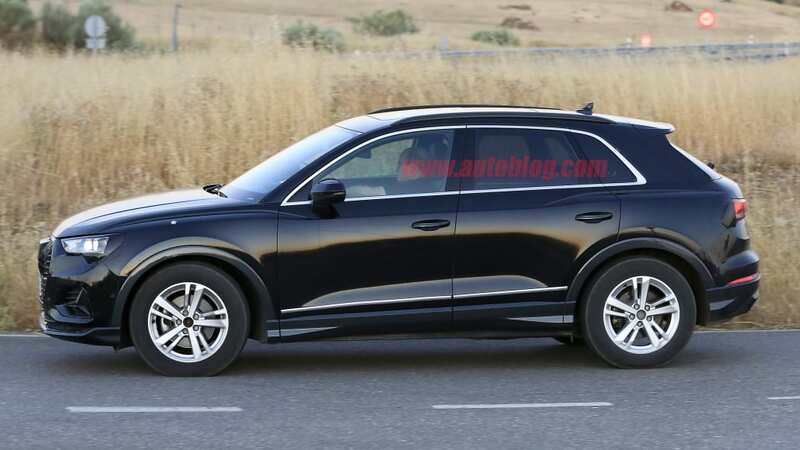 It shows the compact luxury crossover SUV looks very much like a tiny version of the Q8 flagship SUV. 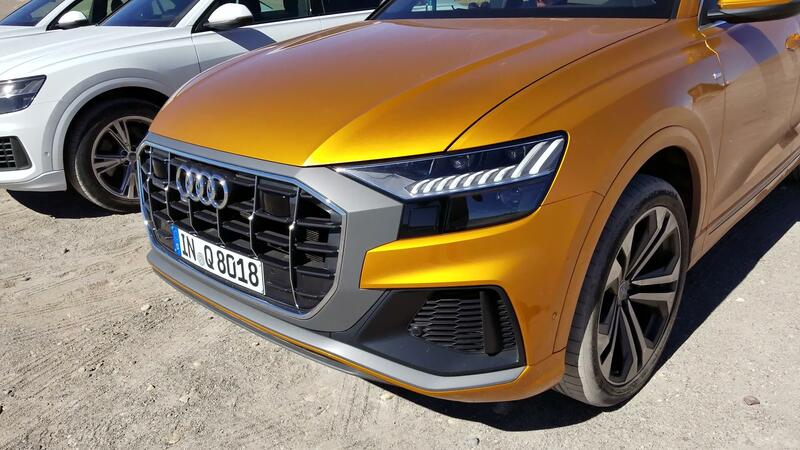 The strongest Q8 connection is in the front fascia. 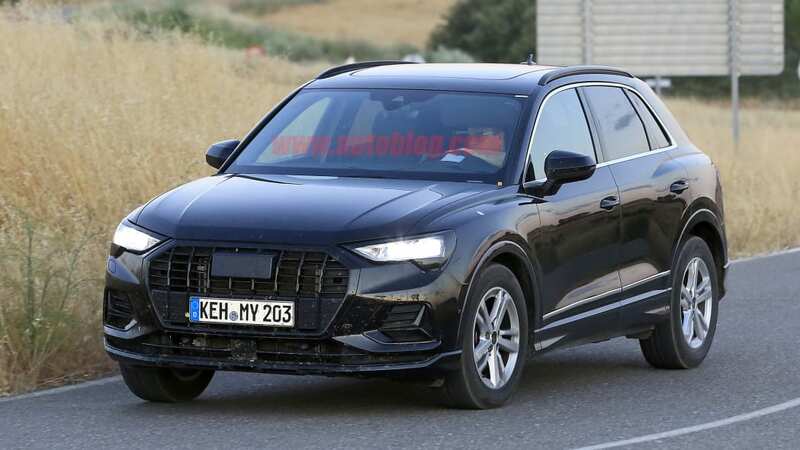 The new Q3 has a version of the big SUV's octagonal grille. It also has the vertical bars that intersect the horizontal slats. 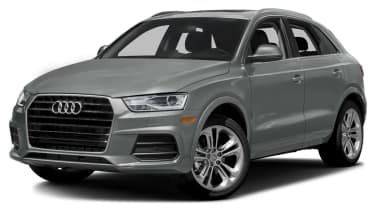 Both of these styling cues separate the SUVs from Audi's cars. 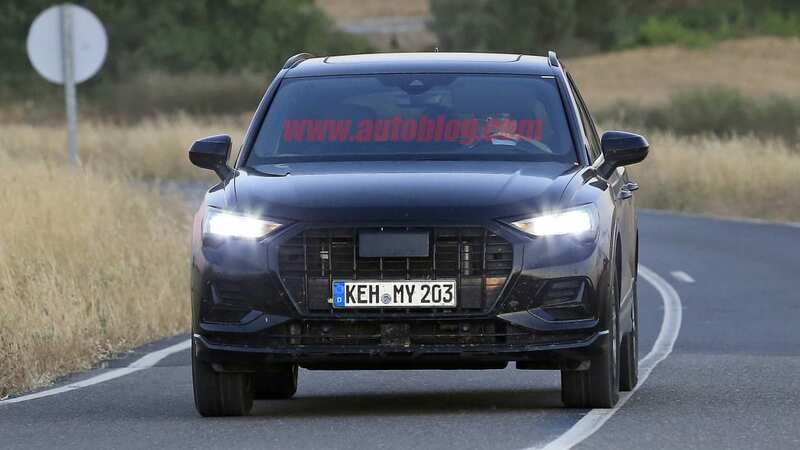 An additional connection between both SUVs is the new Q3's little triangular extension downward on each headlight. They're smaller than those on the Q8, but confirm the family connection. They also look a bit like fangs. 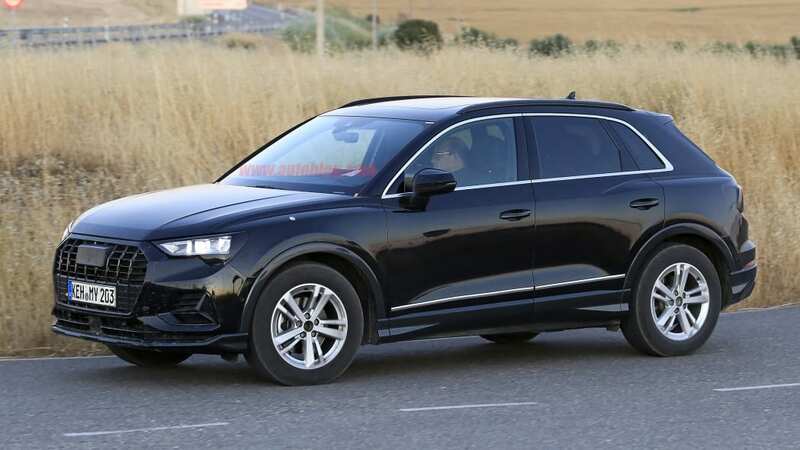 Along the side, the Q3 has a similar window treatment to the Q8, specifically the small pieces of glass aft of the rear doors. 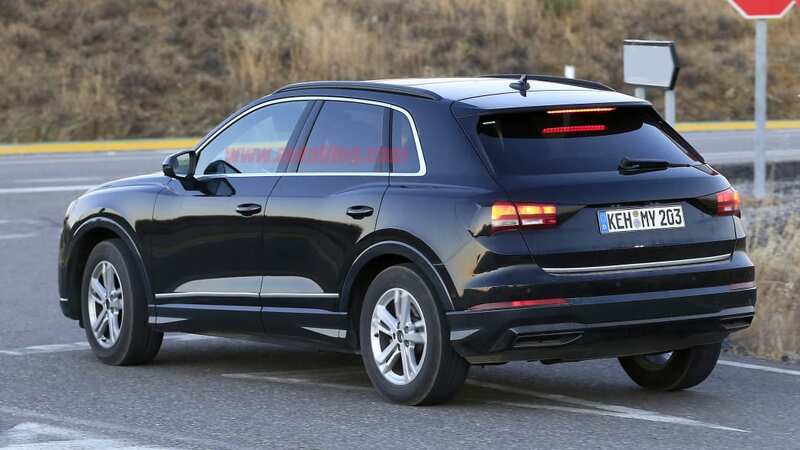 Where the little Q3 starts to come into its own is in its more aggressive bodywork. There are tall creases with sharp downward angles over each wheel arch that make it look muscular and chiseled. It's less subtle and elegant than the big Q8. 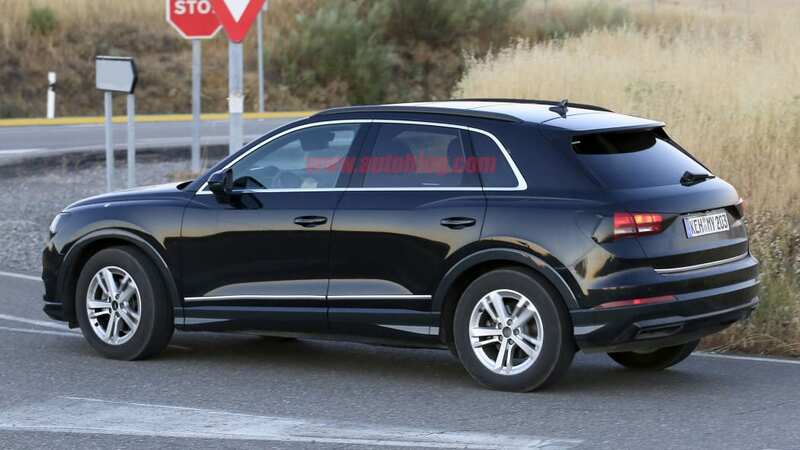 At the back, the Q3 is actually pretty conservative. It doesn't get any fancy LED taillights like those on the Q8. Really, it looks like an evolution of the current model. The lights are a bit more slender with narrower angles. The exhaust is now integrated with the rear bumper with geometric outlets. 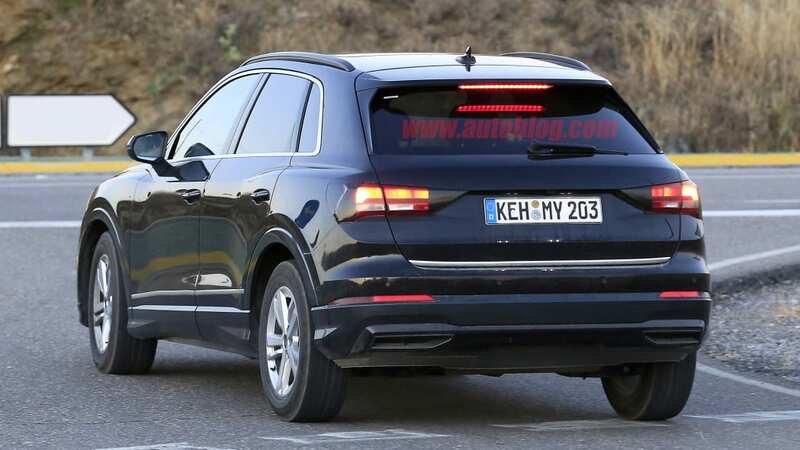 But otherwise it looks like an updated version of the outgoing model. 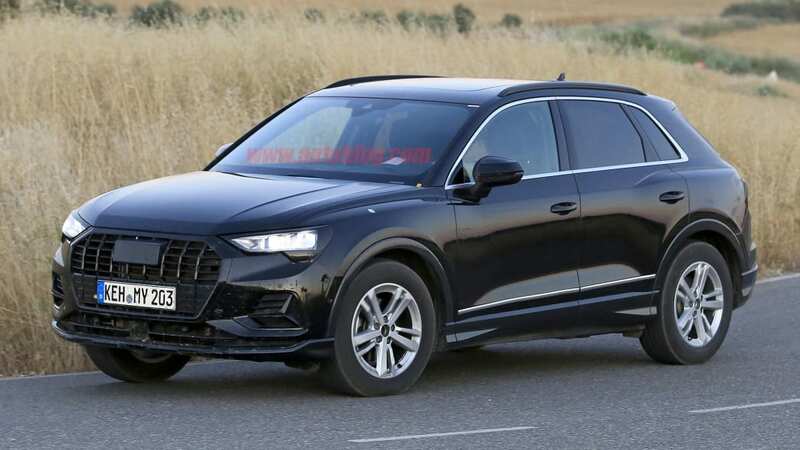 We were expecting to see the production Q3 revealed this year, and based on this prototype, that still seems like a strong possibility. It would certainly seem likely to go on sale sometime next year at the very least.